As a business owner, you are your business and your business is you. Your business’s success is a direct result of your desire, work ethic, and skill set. Hard work and hustle can only get you so far. If you have the desire to get to the next level, you have to develop the skill sets you need to get there. As a moving company owner, your best investment is in yourself. Think about what you want to accomplish in your business and life. Now think about what’s stopping you from getting there. Are there certain skills, that if you developed would help you achieve your goals? 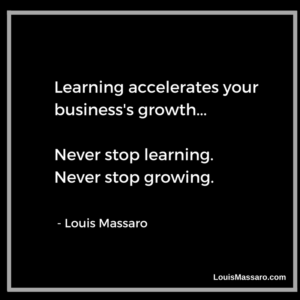 If you want to continue to grow your enterprise, you have to continue learning and growing. Although I never went to college, I have committed myself to being a lifelong student. I have always spent a lot of energy, time, and money on learning new skills and increasing my knowledge. Whether it was books, seminars, coaching, mentors, online courses, you name it! Whatever I needed to help me grow my business, grow as a person and grow as a leader, I went out there and acquired the knowledge and the tools. It’s something I will never stop doing. As a moving company owner, I studied everything I could from business process development, accounting, sales, marketing, customer service, estimating moves, internet marketing, management, leadership, time management, stress reduction, goal setting, self-development and everything in between. I’ve been fortunate to have long-term success in the moving industry, but I’ve also had setbacks. But it never slowed me down, because I knew I had the skills to bounce right back. Once you’ve developed your skills and knowledge, you have the ultimate control over your destiny. Right now you can be one skill, habit, lesson, mentor or book away from making the shift you need to elevate your business and life to the next level. As an entrepreneur and moving company owner, you must stay sharp and acquire the tools, skills, and knowledge you need to stay ahead of the competition. Have you ever thought to yourself “I need to hire someone that knows how to do…[fill in the blank]”? What if you learned how to do whatever that is and developed that skill? Then you can hire someone and delegate that job to them, but you would always have those abilities. No one can take that away from you. If you want to figure out how to get your company to the next level, then look at the areas that you are struggling with. Look at the areas that you are not 100% confident with. That will point you to what knowledge you need to gain or skills you need to develop. Once you figure that out, dive in and start learning! Investing in yourself is the real secret to becoming a highly successful moving company owner. Watch the video above for the full episode. Like this episode? Please share it! My blog and videos are ad-free ONLY because you share my work! How can I help? What challenges are you facing in your business? What areas could you use some tips in? Leave me a comment below and I will be more than happy to get back to you or post a video on the topic. Follow Louis on Instagram for tons of great quotes. 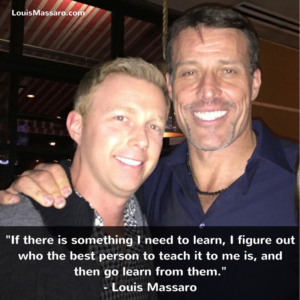 Hey my friend, it’s Louis Massaro, author of 10 Rules of a Profitable Moving Company and founder of Moving Mastery. 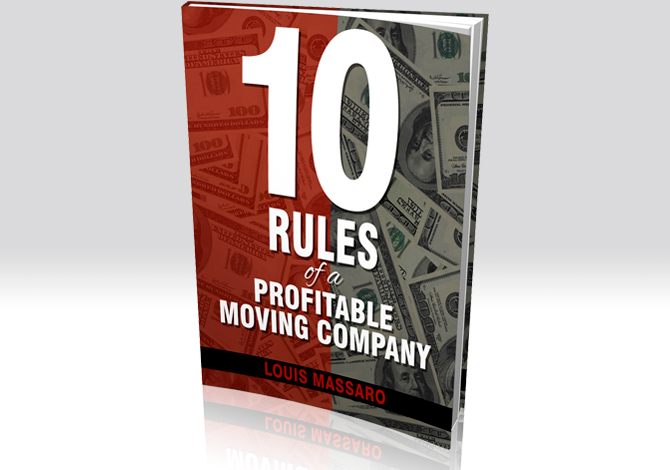 Listen, if you’ve been with me for the last 10 weeks, you know that we’ve been talking about the 10 Rules of a Profitable Moving Company, which is my new e-book. If you haven’t already downloaded it, I don’t know what you’re waiting for. Go over to my website, it’s free, you’ll download it instantly. And today, we’re gonna talk about the 10th and final rule and that’s invest in yourself. This is something that is so important and something that really allowed me to go from where I was, 19 years old, I didn’t go to college. I started off with two rental trucks, working out of a truck rental yard and grew it into a multi-million dollar, multi-location company. I mean, we were doing over $20 million a year in business. I was able to sell my companies. And it’s all because of everything I learned along the way. In the last video, I talked to you about the little black book that I used to keep. And every time I had a problem or an obstacle, I would write it down in the little black book. I do that today still, except I put it in my phone. But I’d write it down in a little black book and I used to keep it in my pocket. Then I would go find books and different ways to find the answers to that. So, that’s what I mean by invest in yourself. When you invest in yourself, once you gain knowledge and once you gain information, nobody could take that from you. So whether you’re in the moving business or you get into another business, you’ll always have that knowledge. So you should really use any areas that you need improvement, any areas that you struggle with, that you know what? You look and you say, “I could achieve this if I knew how to do that.” Go learn how to do that. Develop skills. You don’t just get into business and have all the skills that you need. Even people that come out with MBAs in business, they went to college and they went and got their MBA. There’s a lot that you learn in that, I’m not taking anything away, but the best education is going through it. The best education is learning and making the mistakes, but then recovering from those mistakes, and learning, and finding ways to overcome the real-life obstacles in business. So when I say invest in yourself, I mean, I still to this day, I read a ton of books, I go to seminars, I take online courses, I have a coach, a mentor. It’s something that’s so important to me because it accelerates my growth. I can only learn so much from sitting on a couch and watching TV, and then going and doing my business every day and just trying to struggle to figure things out. No, I wanna go straight to the source, I wanna find out if there’s something that I need to learn, I’m going and figuring out who’s the best person to teach it to me and I’m gonna learn from them. And that’s what I’ve done, and that’s what I’m gonna continue to do my whole life. Whatever I needed to learn, whether it was a business process. I remember, that was a big thing for me. When I had all my locations and it was a lot of work to manage and just be on top of everything, I’ll say, “Wow, I need every single thing to be in documented process.” So I learned that. I read books, I took an online course, I hired a consultant and I learned it. And then it was just something that was part of… And still to this day, that’s something that I have, that I could implement into business, sales, marketing, online marketing. Back in 2008 period, if you’ve watched the other videos, you’ve heard me talk about how I was heavily invested in Yellow Pages and then they weren’t quite working as well as everybody started to move to Internet marketing, going online to find movers. Well, I dove into that, head first. I wanted to learn everything I could about online marketing. I didn’t really wanna have a web marketing company telling me what I needed and me just looking at it like it was all Greek, like I didn’t know what they were talking about. And that happened at first. When I first went and wanted to figure out, “Alright, how do I get my web presence? 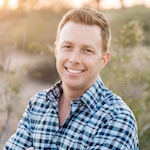 How do I get my SEO and my pay-per-click, and how do I get leads to be coming in all the time?” And when I met with a company, and you know what? I didn’t wanna be at their mercy, so I took the time and I learned. I went to the seminars again. I took courses, I hired consultants. And I learned the Internet marketing inside and out to where I knew it. Later on I hired… My company was at its biggest, I had seven people in the web development department that basically were just working on internet marketing for my companies. And I knew almost everything that they were doing, but they were doing it. I didn’t necessarily have to do it, but they weren’t gonna be able to tell me, “Hey, this is gonna cost you $30,000 to do this to your website,” or whatever the case may be, because I knew it. So the point I’m trying to make, it’s not about how much I know. The point I’m trying to make is that you need to invest in yourself. If you’re a business owner and you wanna take it to the next level, you have to invest in what your knowledge base is. 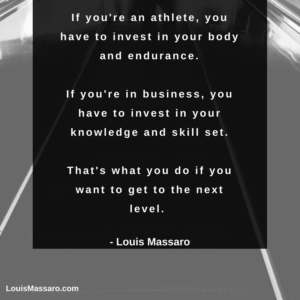 If you’re an athlete, you have to invest in your body and you have to invest in your endurance. That’s what you do. If you wanna be a high class, high level athlete, you work on your body. If you wanna be a high level business person, you gotta work on your mind, you gotta work on the skills and the knowledge that you need to go to that next level. Now, I don’t know what that is for you, but I could tell you where to find it. It’s wherever you’re struggling, whatever areas that you feel you’re hitting a road block. And it’s, it just seems tough and it just frustrates you. So maybe you avoid that or maybe you try to work around it or… Those are the areas that you need to develop some more skills. 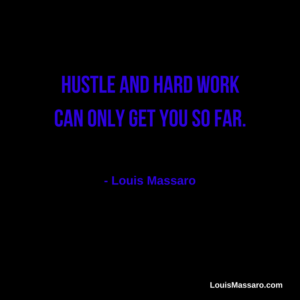 And you may have built a very successful business on pure will, desire, hustle, hard work. That’s how I built mine and then I realized, you know what? I’m not gonna get any further with the hustle and the hard work. It can only get you so far. And it’s exhausting. But when you know better ways of doing it, when you learn systems and processes and you go and learn from people that’ve been there before and done it before, then you start to take it to the next level. I knew that, you know what? I knew where I wanted to take my business and there was nobody out there to provide me with that information for moving. So I went and looked at other industries and then I applied it to my industry. You have to invest in yourself. It’s so important. I’m not saying this to try to get you to be in one of my programs or to hire me as a mentor or a coach, it’s not what this is about, alright? As you know, these are free videos that I put out. I’m giving you advice for your business. I’m not promoting anything. I’m just telling you that if you wanna get to that next level, there’s probably certain skills that if you develop those skills, you would get there. Maybe you’re not confident in a certain area. Maybe your marketing you’re not so confident in. Or maybe your sales you’re not so confident in, or your accounting. We talked about in rule number one, know your numbers. Maybe you’re not good with numbers. But you know what? You can become good. I don’t like to hear people say, “I’m just not good at that. I’m just not good at that.” You’re not good at that because you haven’t developed the skill for that. But you could develop any skill that you wanna develop. So, my suggestion to you is figure out what’s holding you back. Get out a pen and paper. Figure out what’s holding you back, what areas of knowledge that if you learn them could propel you to that next level. What level of success you trying to get to in your business? What’s preventing you? If you thought about it and said, “Hey, I wish I had a person that I could hire that was this or that, or knew this or knew that.” You know what? Become that person, because that’ll always be with you. So the skills that you wanna look to somebody else, to hire somebody else to bring into your company, learn them first. Then you can bring them in and then you know everything that they’re doing, you’re on top of it. Invest in yourself. Read some books. Take some courses. Learn from people that have done it before. Hire a coach. Whatever you need to do, you’re the most important part of your business. Your business is you. You are your business. Don’t forget that. Everything that’s involved in your business, everything that is what it is today, is all because you dreamt it up and you put it in place. So do yourself a favor. Invest in yourself. Make yourself stronger. Make yourself more knowledgeable and that’s what’s gonna really propel your business to the next level. Thanks so much for sticking with me through the 10 Rules of a Profitable Moving Company over the last 10 weeks. Again, if you haven’t already downloaded the e-book, go to my website. Download the e-book. There’s a ton of great stuff in there. I’ll see you next week. Go out and profit in business and thrive in life. I’ll see you later.